Owner(s) Phil Baxter, Phil Baxter, Jr.
Phil Baxter is native to California, growing up in the central valley where he studied winemaking at Fresno State. He moved to the Napa Valley just before 1969 when he started his career under the tutelage of Bill Bonetti at the Charles Krug Winery. Phil oversaw the development of the Souverain Napa operation and was the head winemaker at Rutherford Hill Winery for the first ten years. 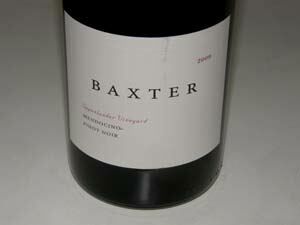 He then moved to the Dry Creek Valley as the winemaker at Domaine-Michel. In 1989 Phil started his own business with the Philippe-Lorraine label in honor of his maternal grandparents, Philippe and Lorraine Segrais. Direct descendants of France, but more recently from the isle of Mauritius, they were the source of much of his love of wine and the old world. 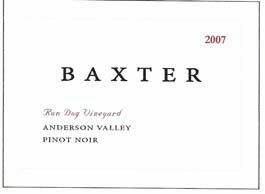 Now, together with his youngest son, he focuses most of his energy on Philippe-Lorraine and Baxter their new single vineyard label. Phil Jr. grew up in St. Helena running around the vineyards of Rutherford Hill and Domaine Michel. After high school he enrolled at UCDavis where he spent five years studying viticulture and enology, one of which was in France. After finishing school in 2002, Phil once again ventured to France, this time to work the harvest. He worked at two domains owned by Boisset. Domaine de la Vougeraie in Premeaux, produces wine from 33 different vineyards from Musigny and Bonne Mares to premier cru and village wines. During the thick of harvest Phil also helped the crew at Domaine Raymond Launay in Pommard. They made many Pommard wines as well as several grand crus from elsewhere on the Cote. Upon his return Phil decided to work for his father and the family business. 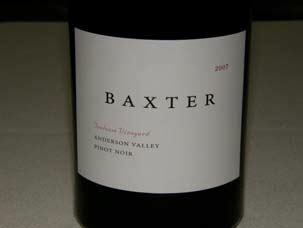 Perhaps due to Phil Jr's Burgundian influence, in 2003 father and son started the Baxter label focusing on premium vineyards and old world techniques, including little or no new oak elevage for Pinot Noir. 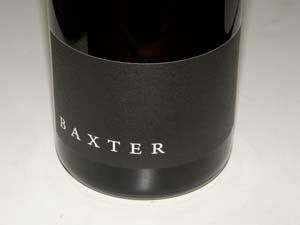 The Baxters have now consolidated all winemaking at their family farm in Elk, CA. The estate lies in the Mendocino Ridge appellation on top of Greenwood Ridge between Philo and Elk. This father and son team work together as the only employees to create both Philippe-Lorraine as well as the smaller lots of Baxter wines and now Pipo. Pinot Noir has been sourced from Toulouse Vineyard in the Anderson Valley and Oppenlander Vineyard in Comptche, just north of the Anderson Valley in Mendocino County, but vineyard sources have included those in Mendocino Ridge, and have varied over the years. The wines are sold online through the winery's website. A modern tasting room is located in Philo on Highway 128 across the street from the Lemons Philo Market.